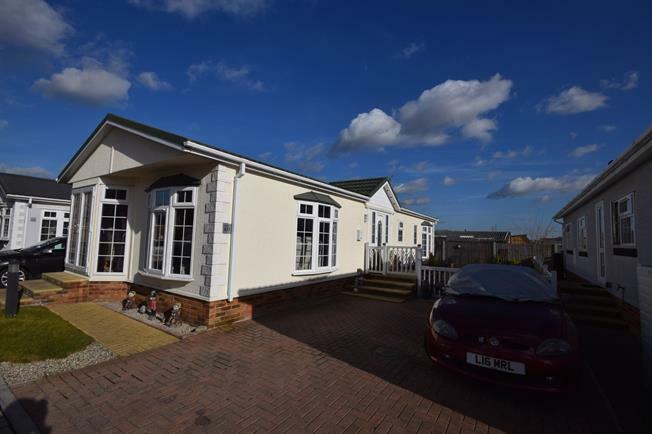 2 Bedroom Detached Bungalow For Sale in Wickford for Asking Price £220,000. Being offered with no onward chain, is this two bedroom detached park home with the addition of a study. The property benefits from parking for 3 cars and features its own private, fenced garden perfect for someone with pets. Internally the home benefits from two double bedrooms with en suite to the master, a large L shape lounge diner, fitted kitchen opening onto a utility, a study and a family bathroom. Entrance via uPVC front door, with double glazed uPVC windows either side, radiator to side, access to all rooms, and two storage cupboards. Wood effect flooring, base units with roll edge work surfaces, inset stainless steel sink, patio door to side, spotlights. Wood effect floor, 3 piece suite comprising of panelled bath with shower over head, close coupled WC and vanity unit with ceramic bowl sink above, extractor fan and ceiling lights.